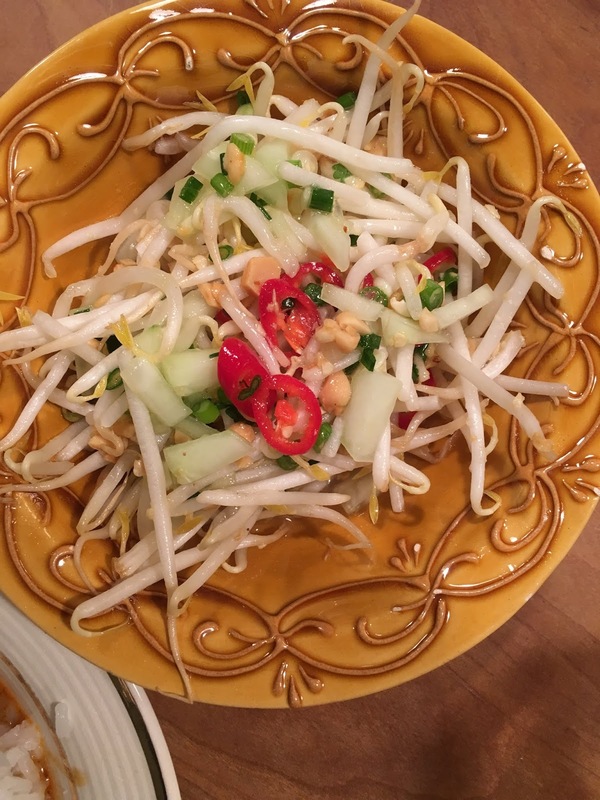 I’ve been seeing bean sprouts regularly at the market these days, and they make for a refreshingly light and tasty salad. Peel, seed, and cube a medium cucumber and combine in a large bowl with a bag of bean sprouts, two chopped scallions, half a thinly sliced serrano pepper, some chopped peanuts, and a small handful of coarsely chopped cilantro leaves. For the dressing, whisk the juice of a lime with two tablespoons of rice wine vinegar, a small splash of vegetable oil, a teaspoon of honey, and salt to taste. Because the bean sprouts will get soggy fast, gently toss the dressing into the salad immediately before serving.